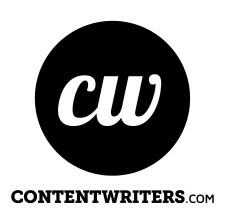 CLEVELAND, September 4, 2018	(Newswire.com) - ContentWriters will be one of the featured sponsors at this year’s Content Marketing World conference to be held in Cleveland, OH from Sept. 4 through Sept. 7. They will specifically sponsor the Content Creation track, a series of lectures to take place throughout the day on Thursday, Sept. 6. The track focuses on many aspects of the content creation process, from creating unique content to the neuroscience behind storytelling. Content Marketing World, an event hosted by Content Marketing Institute, is a yearly summit where the brightest minds in content marketing congregate to share ideas, network, deliver powerful lectures, and communicate about the future of the industry. Brands across the tech and content marketing spectrum will be well-represented. The New York Times, Twitch, Capital One, Google, Adobe, Intel, LinkedIn, and REI are all scheduled to have senior employees deliver speeches. The conference will even feature a keynote from award-winning producer, writer, and actor Tina Fey. Users can view the full agenda of the conference here.